Open cabinet doors below sinks to allow heat to circulate. Wrap susceptible pipes (along exterior walls and in crawl spaces) with pipe insulation or heating tape. Insulate exterior walls, as well as your crawlspace, attic and garage. Know what to look for – watch for reduced water flow. Check your water pressure at night, and in the morning. Identify and reduce drafts that are near exposed pipes. 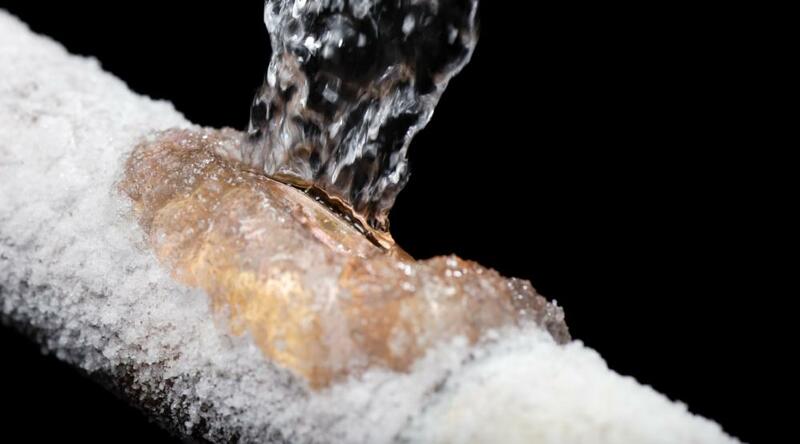 Thaw a frozen pipe with a hair dryer, or wrap them with towels that have been soaked in hot water – never an open flame! Start thawing nearest to the faucet – leave the water running so the water has somewhere to go! If a hot water pipe breaks, close the valve on top of the water heater.